The Sr. 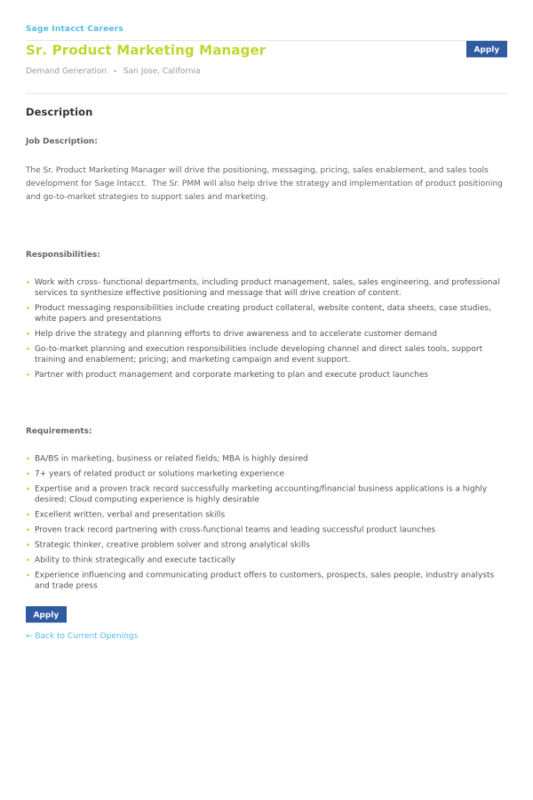 Product Marketing Manager will drive the positioning, messaging, pricing, sales enablement, and sales tools development for Sage Intacct. The Sr. PMM will also help drive the strategy and implementation of product positioning and go-to-market strategies to support sales and marketing. Work with cross- functional departments, including product management, sales, sales engineering, and professional services to synthesize effective positioning and message that will drive creation of content.